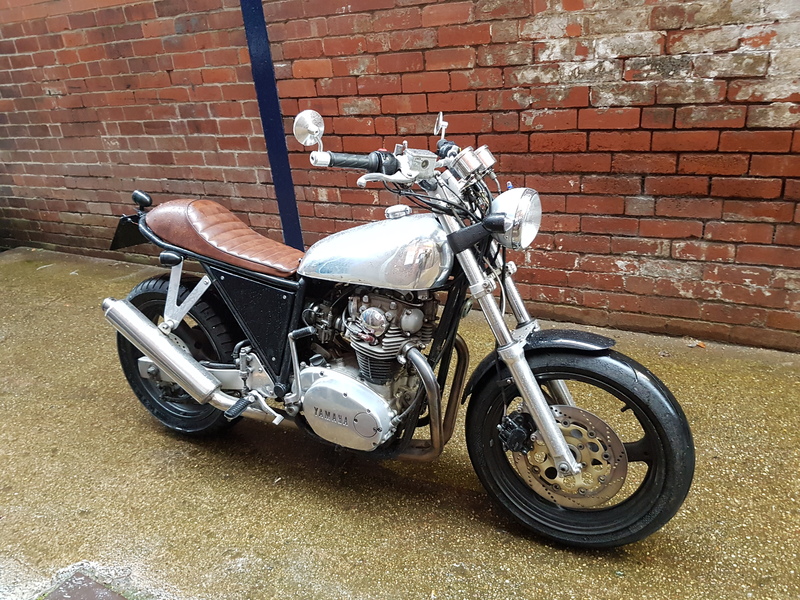 We sold our Candy Blue CD200 and received this Hybrid XS650 in Part Exchange. Immediately, we had big plans for this bike and started work on it straight away! The frame is a special, we don’t know who built it but the quality is superb based on the XS engine which uses a Bandit 600 Suspension and Running Gear. We didn’t want to do too much to this bike, but there were a few modifications that we knew it needed! Shortly later, this was the finished product which flew through its MOT!